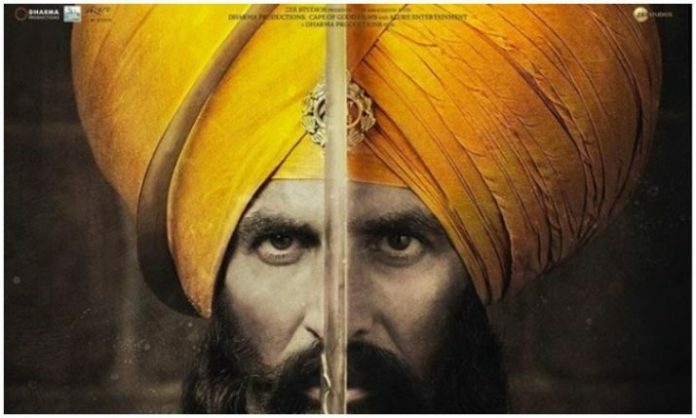 Kesari box office prediction: Akshay Kumar’s is all set to rule the box office with his new release Kesari which is based on Battle of Saragarhi. Akshay Kumar’s next Kesari is all set to hit the big screens tomorrow. 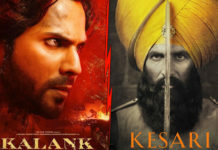 One of the most anticipated movies of the year, Kesari has created tremendous pre-release buzz. The movie is expected to take a big opening. If accepted by the audience, it will rule the box office. Let’s have a detailed look at Kesari box office prediction. Kesari is one of the most awaited movies of the year. Being an Akshay Kumar film, the excitement for it among the fans was always high. It is based on ‘Battle of Saragarhi’, one of the bravest battles ever fought. The subject of the film is appealing in present times and Akshay Kumar as a lead is icing on the cake. Kesari has created tremendous pre-release buzz thanks to its superb trailer. It looks like a winner. 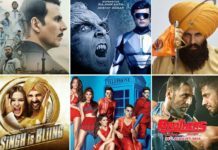 Akshay Kumar as lead: Akshay Kumar as a lead in a historical war drama film is something everyone wants to watch on the big screen. Akshay is at the top of his game and Kesari might turn out to be a career-changing film for him. Huge buzz and good release date: The movie has created tremendous pre-release buzz thanks to its incredible trailer. The release date is also perfect as there is no competition from the past week release. Additionally, the film has the advantage of four days extended weekend. 1) Unknown director: Kesari is directed by Anurag Singh who is not an established name in the industry. It remains to be seen, how he managed such a big scale film. 2) Starcast: Except Akshay Kumar and Parineeti Chopra, there are no big names in the film. This is a big negative for the film. Kesari is releasing on around 3800 screens. The morning and noon shows on the first day will be affected due to Holi festivities, however, the film will witness a huge turnaround in the evening and night show. Considering the above positives and negatives, I am expecting it to take a good opening of around 22 crores. It will be one of the biggest opening days for Akshay Kumar. I am expecting it to become the biggest opening day grosser of 2019. Kesari looks like one of the best films of Akshay Kumar’s career. With the huge pre-release buzz and perfect release date, Kesari is expected to play a long inning at the box office provided that the content works. If accepted by the audience, Kesari will rule the box office. It has a good chance to become Akshay Kumar’s first 200 crore grosser. I am expecting it to earn at least 170 crores in its lifetime. What are your expectations from Kesari? Share your views with us in the comments section.